In mid-September, we had two fantastic guest speakers presenting to a number of our top clients at The Verde Group CX Summit in New York City. One of those speakers, Tom Eymundson, is a leading sonic branding expert and the CEO of The Pirate Group Inc. I caught up with Tom after the Summit to learn more about the power of sonic branding and how companies are using it to establish and reinforce their brands. Paula: Tom, thank you so much for joining us today! So how would you explain sonic branding to someone who’s never heard the term before? Music and sound are that powerful and persuasive. Sound has the unique ability to connect people and brands. You see, brands are like people. How they look is how they’re seen, and how they sound is how they’re heard. Essentially, sonic branding is the strategic use of music, voice and sound effects to create emotional connections between people and brands. Paula: What are the most critical steps for creating true brand differentiation through the use of sound? Tom: A brand has to draw some honest conclusions about what its vision, values, promise, and personality are. That essentially defines the essence of your brand, and your sonic identity should be designed to embrace that essence. It should be as unique and articulate as your visual identity. That’s what will differentiate you from your competition. Paula: Can you give an example of a brand that’s done an effective job of that, just with sound and no words? Tom: McDonald’s has done a really good job of it with their ‘I’m Lovin’ It’ campaign. It’s been running since 2003, so it’s certainly stayed the course — and that’s imperative in order to have a sonic brand that’s recognizable. It’s also evolved. What started off as a Justin Timberlake song with the familiar bridge followed by the words ‘I’m loving it’ has since distilled down to just the bridge. We as consumers fill in the rest. That’s how powerfully it’s been etched on our minds. Another example, perhaps my favorite, is Intel. Their sonic branding is also ingrained in everyone’s mind. Intel also stuck to the course and embedded their branding in everyone’s offerings. So IBM would launch a computer with an Intel chip and Intel basically got to brand off of IBM’s back. The actual sound, the ‘Intel Bong’ as it’s referred to, is often called the ‘Stairway to Heaven’ of sound logos because of its global ubiquity. I’ve read that it’s heard every five minutes somewhere in the world and that it’s played in more than 130 countries. Paula: I know sonic branding has been around for a long time. Do you think it’s making a resurgence now because companies feel customers are over-saturated with visual stimulation? Tom: Well that’s certainly true. The other thing that’s different is that we’re now receiving sound from so many sources, whether it’s the devices we’re holding, in our cars, or what’s on our walls or in our lives. What used to be a just print or visual media are now immersive, so there’s sound embedded in them. For example, when you go to the New York Times website you’re no longer just reading a newspaper, you can get as deep and as immersive as you want, with full video and audio. As a result, sound has emerged an essential component of our strategic branding initiatives. I think that any brand out there today that’s not taking this into account stands a chance of being left behind. Paula: So are you seeing more companies exploring sonic branding as a result? Tom: Absolutely. Most companies are recognizing that sonic branding has to be a part of their overall communications strategy. There’s a great book called “Brand Sense” by Martin Lindstrom published in 2010 that explores the concept of sensory marketing, which is a shift from just visual sense marketing to targeting all five senses. He states that 41 percent of customers consider sound to be a central element of brand communication. Paula: You’ve been involved in sonic branding for over 25 years. What’s your method for partnering with clients to develop an iconic sound for their brand? Tom: We employ a three-step methodology when working with clients. It’s anchored in a strategic rationale which helps remove subjectivity — that’s key to why it works. The first step is to determine the ‘what.’ What are we trying to do? 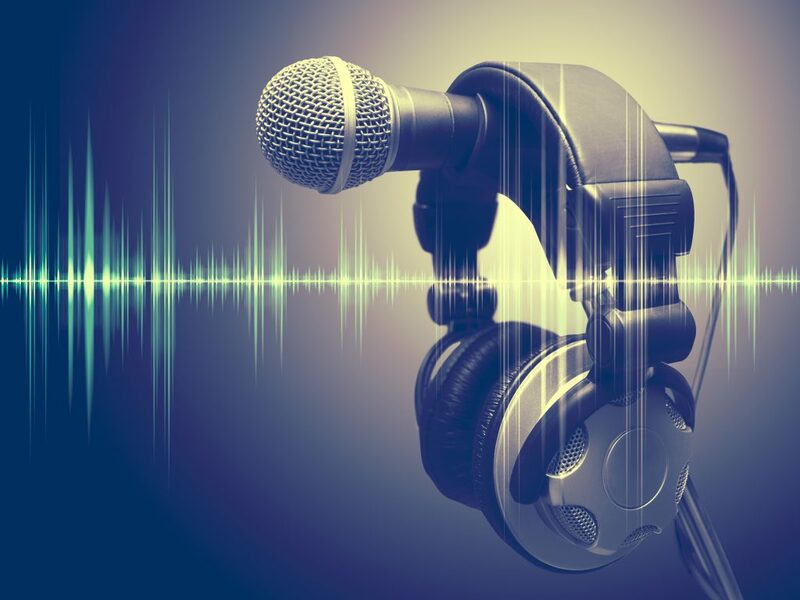 This entails a comprehensive analysis of all existing brand and audio assets, a competitive audio review, and a technical audit – are we exploring something new and distinct or refreshing something that already exists? Step two is the ‘why.’ Why do we want to do it? This involves identifying all brand and audio opportunities, formulating strategic guidelines then developing audio mood boards and sonic signposts. Next, we determine the ‘how.’ This is where the creativity begins. We start with concept development, then present three concepts to the client. Once reviewed, we generate more options if required. When all parties are satisfied, we move on to concept refinement and re-calibration. At that point, we dig deeper into the concept and explore topics like media applicability, ethnic suitability, and overall flexibility. Then the testing stage comes, which is internal qualitative testing for the agency and client to review. It’s difficult to actually test sonic branding without it being released — you’ll only know if it’s effective once it’s had time in the market. Repetition is key. And finally, we have our handoff. All sonic branding assets are presented in pre-selected formats, broadcast ready. Adhering to this ‘what, why, and how’ methodology is how we develop the right sounds that resonate with customers. The reason it works is that we resist the urge to jump to an execution (the ‘how’) before we figure out the ‘what’ and the ‘why.’ That’s also how we avoid ‘flavor of the month,’ and ‘what’s hot now’ traps. Paula: Given all the changes in technology Tom, what do you see for the future of sonic branding? Tom: For one thing, the whole world of artificial intelligence, as it relates to voice assistants, has opened up a whole new level of sonic branding. Now it’s being dubbed VX, or Voice Experience. Brands can now have a dialogue with their customer, in front of the customer, and in the comfort of the customer’s own home. Think of the data mining possibilities there. Brands also have the opportunity to extend their sonic identity to include that of a branded voice assistant. According to The Smart Audio Report, 65 percent of users say they wouldn’t go back to life without their smart speaker. And even Pandora noted in their Definitive Guide to Audio 2018 that there’s never been a better time to be a marketer who invests in audio. Paula: That’s pretty exciting stuff, Tom. I’d like to end by asking your advice on behalf of our readers. What are the top three things you would tell a company considering a sonic branding initiative or campaign? Tom: Sure. If a company is considering sonic branding, then it clearly already understands the power and importance of an effective sonic communication strategy. So I would say that the three most important rules for leveraging their sonic branding efforts are: 1. Be creative. 2. Be distinct. 3. Be consistent over a long period of time. Paula: That’s excellent advice! Tom, thanks so much for your time, and for sharing sonic branding expertise. We’ll be listening for your work! Tom Eymundson, CEO of Toronto-based The Pirate Group Inc., is a talent director, music producer, and sound designer. A winner, juror and Jury President of many international advertising awards shows (including Cannes Lions and the London International Awards), Tom has been helping brands find their voice for over 20 years. Find out more about Tom and the Pirate Group at http://piratetoronto.com. Paula Courtney is Chief Executive Officer of The Verde Group. Is Amazon Making You a Lazy Shopper?Why Care About Patient Experience?